No More Sun! uses the absence of color to remove the bunker-lounge from normal sensibility; objects are contoured and re-shaded to appear under the influence of some unknown light source. The illusion stutters around ordinary full-color objects, which become the new exception. 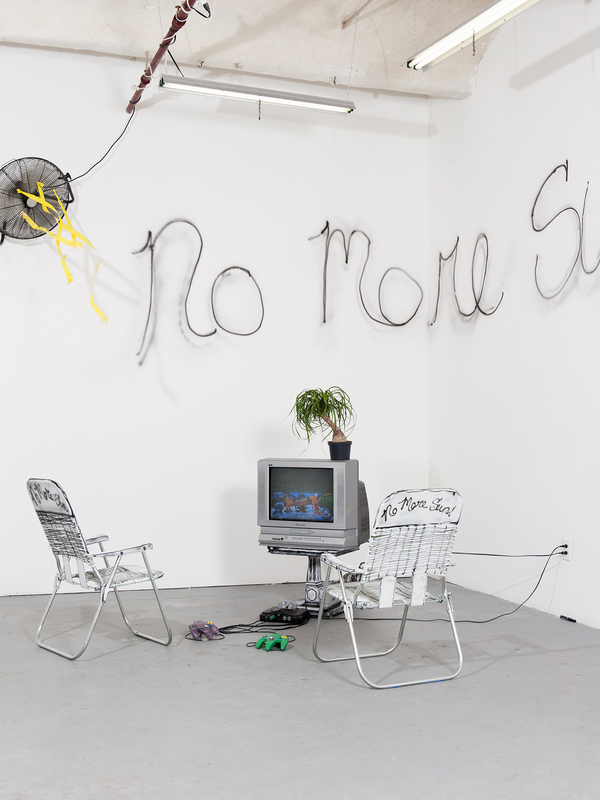 Viewers are invited to sit in No More Sun! branded lawn chairs and play “Snowboarding Kids;” splicing their experience between a snowy mountain and a humid warehouse.